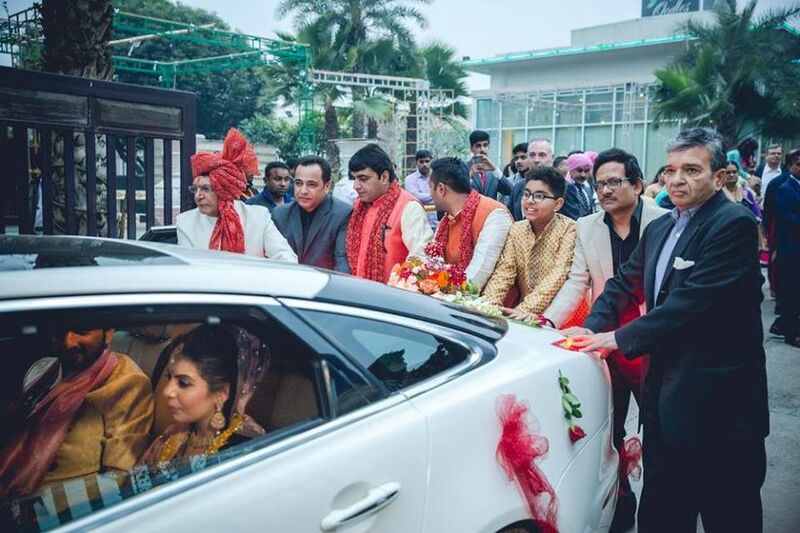 7 Stunning yet Simple Car Decoration for Marriage for a Blissful Bidaai | Wedding Tips ARE YOU A VENDOR? This simple car decoration for marriage depends on the colour theme wedding. Some of the trending wedding colour schemes include lavender and mint green, dusty rose and dark navy, pastel pink and bright purple etc. 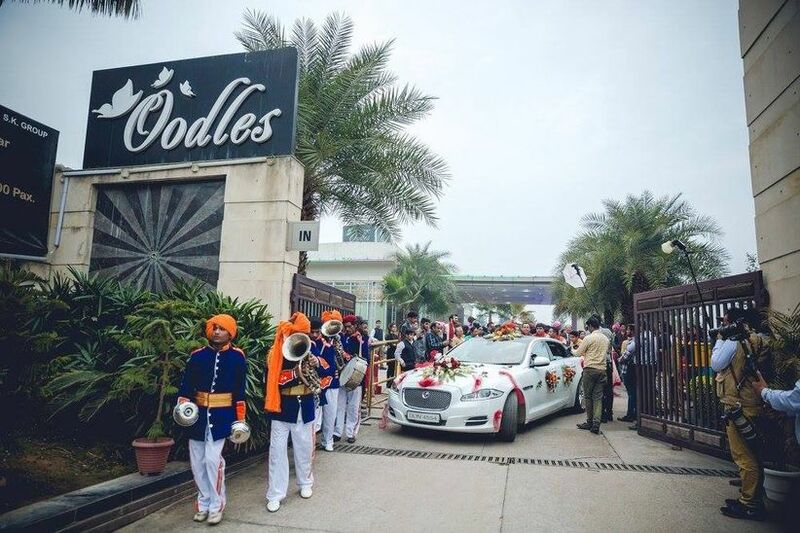 If you are not following the colour theme for your wedding and your wedding has no dedicated colour as such, you can pick the bride’s or groom’s favourite colour and adorn the car with flowers and ribbons of the same colour. Replacing the overplayed "Just Married" can be the new bonnet decoration. 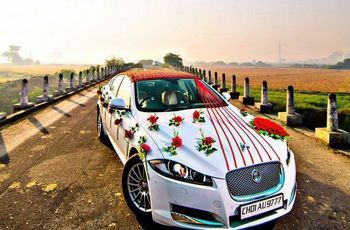 If you are someone going for a simple and elegant look with no over-the-top designs of rows of flowers, this simple car decoration for marriage is right here for you. Go for a simple, medium-sized bow with two complementary coloured satin ribbons and a simple bouquet of carnations or roses in the middle of the bonnet, adding a harmony to the decor. If a little drama is your style, this simple car decoration for marriage in the list is for you. 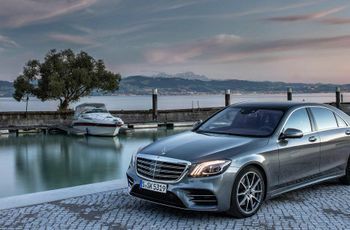 You can make use of pictures, projected image or figurines on the bonnet of the car, as per your budget. 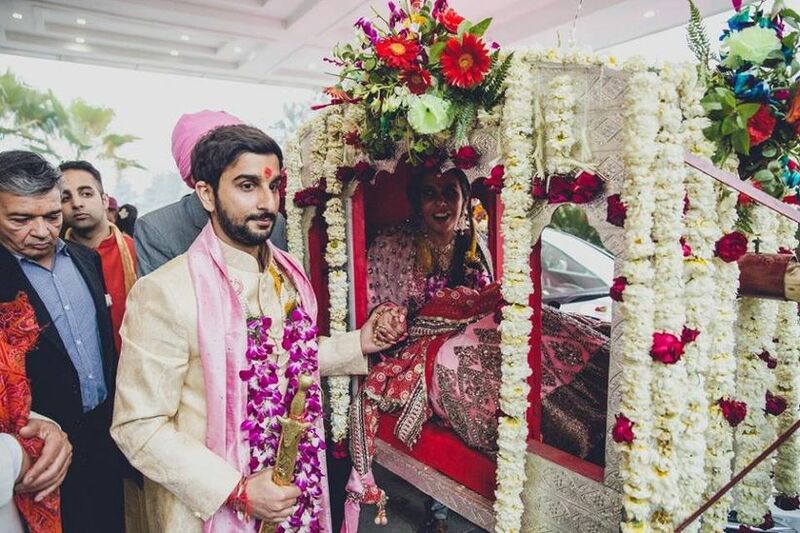 Around this, place things that have significance for the couple, like flowers they usually go for or posters of their favourite romantic song decked with eternal ribbons. Bring all these elements together for a beautiful and majestic appeal. 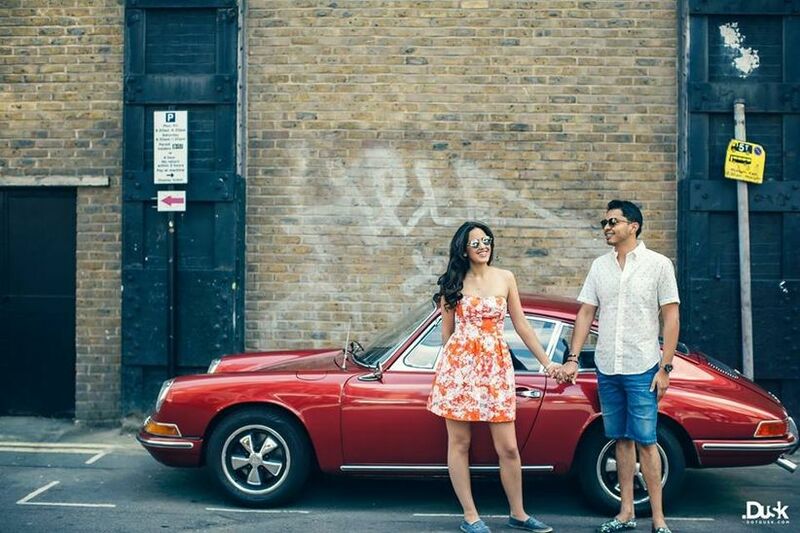 If you wish to have an old-school and simple car decoration for marriage, next is the vintage touch which is another popular trend these days. 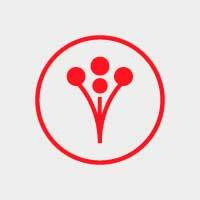 If flowers are overdone for you, ditch them and go for balloons instead. Have a lot of balloons in the favourite colours of both the bride and groom. If your budget permits, you can try renting a vintage car and create a whole look with balloons coming out of it. 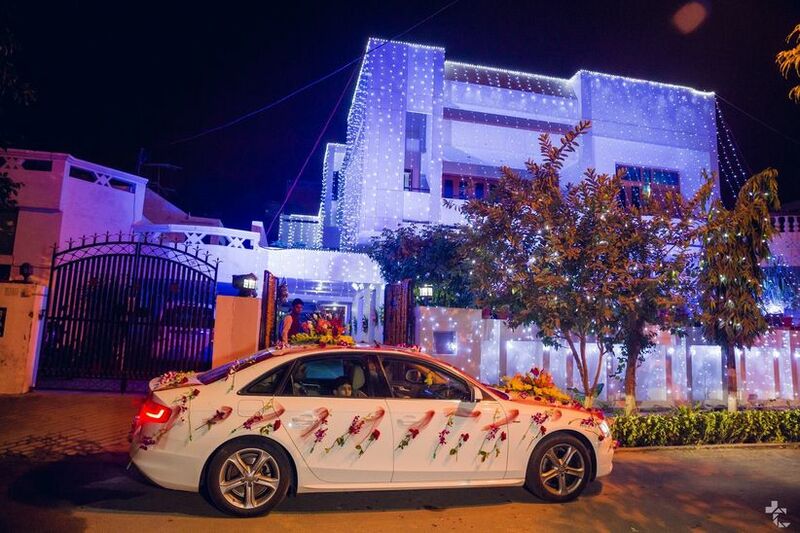 If you do not mind the use of flowers in abundance like the old world charm, you can go for this classy and simple car decoration for marriage. Floral decoration has always been all the rage. Pick a flower or flowers (it is better to go for one though) like peachy rose and adorn the whole car with rows and strings of it, attach it to the car turning it into a spring ride. There can be several ways of floral decoration. So, make use of your imagination. This will not only make for quite an experience but also add a final charm to your wedding because flowers are always in. For the grand yet simple car decoration for marriage, this one definitely stands out. Go for either string of mirror work or beads of glass in any colour. You can pair these with strings of flowers for the extra push, or if that seems too overwhelming an idea, strings of mirrors will also do. 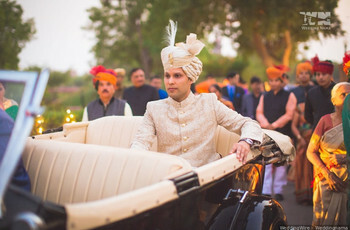 It will instantly add a royal touch to your wedding and no doubt, bring back the good old world charm of luxury along with modern bohemian, ethnic feel. If the bride-to-be or the groom-to-be is a movie buff, it is imperative that they have watched a rom-com and must be having a favourite one. Cash in on this guilty pleasure and turn the car in the memory of this favourite rom-com, with little things from the movie which caught their fancy. 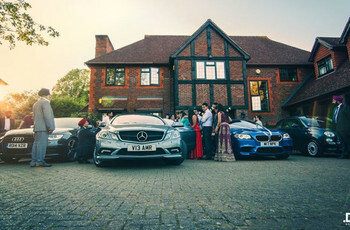 This is a new, interesting and simple car decoration for marriage straight out of a Bollywood movie. 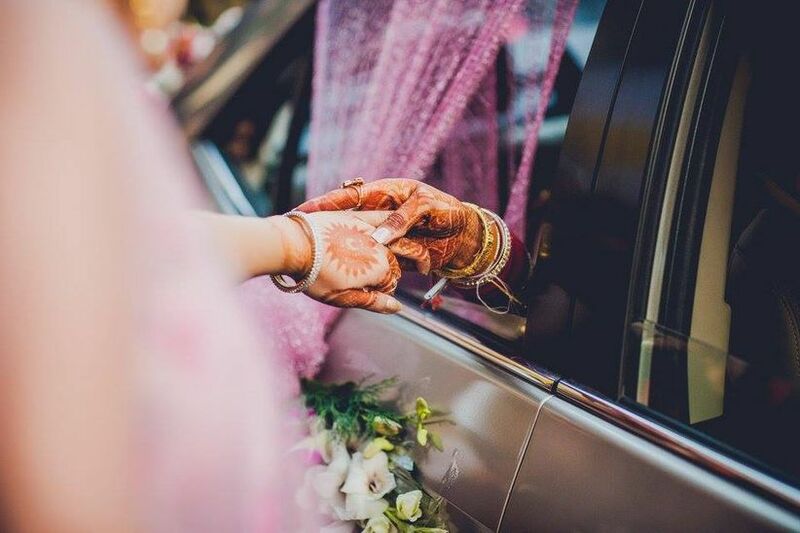 The list of simple car decoration for marriage can never be exhaustive as you can always find new ways to double up the charm of the celebration. They are hassle-free, quick and will definitely catch eyeballs. 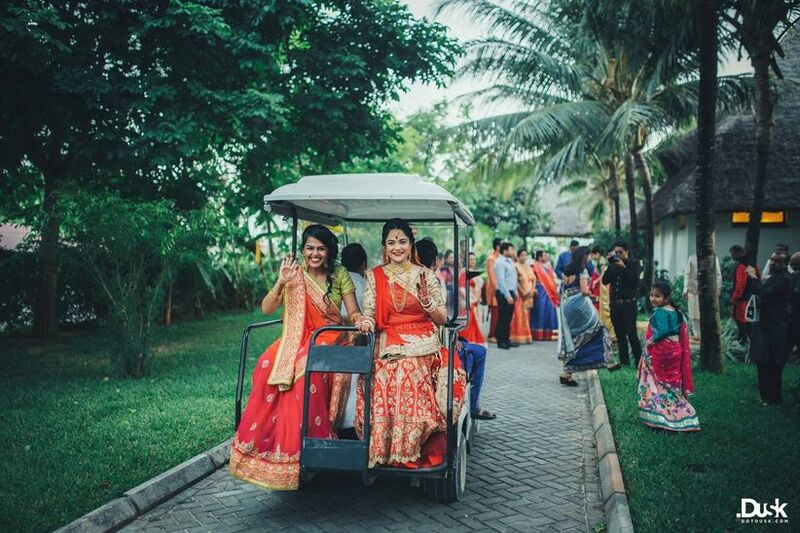 Make use of these new and exciting ideas and turn the tide back home into a blast or a calm royal and enriching experience for the newlyweds which they can remember forever. You can thank us later! Let us know if you have further ideas to add to ours in the comments below!